Class size averages in East Ramapo compare favorably with any school district anywhere. For 2003-2004, the class size average, district-wide, is 18 or less in grades K-6. Class sizes have also been reduced in secondary-level Regents courses. East Ramapo’s professional staff is among the most qualified anywhere. So are several hundred specialized and highly trained teaching assistants, deans, psychologists, chairpersons, and guidance counselors; custodians, groundspeople, bus drivers, security aides, and school lunch personnel; secretaries, librarians, and nurses. 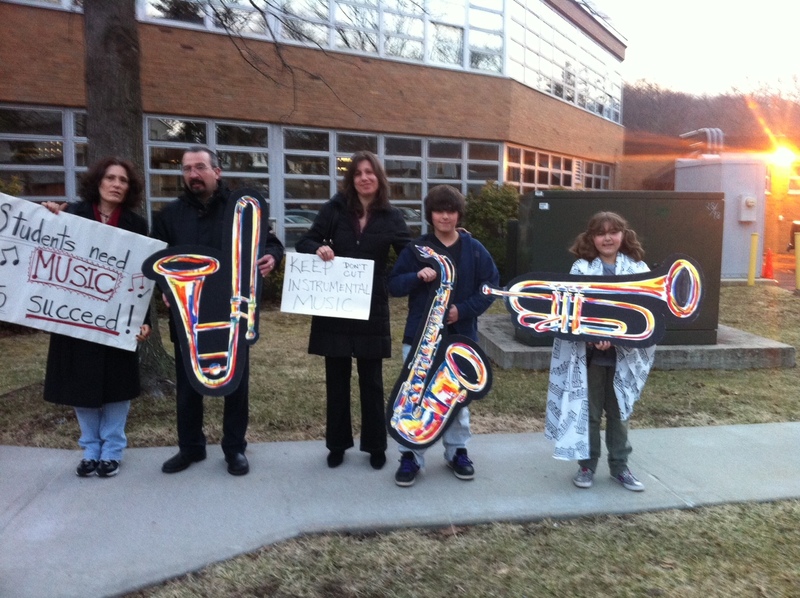 East Ramapo has one of the most closely-knit public school communities anywhere. East Ramapo can boast past presidents and high-ranking officers at the state and regional PTA levels, the Number One PTA Council state-wide for parent involvement, and both district-wide and school-based awards excellence. Based on community approval at the polls, East Ramapo provides busing to all students in all schools and grades, from PreKindergarten through 12th grade, regardless how near they may live to the school they legally attend. East Ramapo also provides a full complement of busing services for students engaged in sports and co-curricular activities, as well as for all youngsters enrolled in the district’s RASP and K-Club programs. For the past three years, all 4th graders throughout New York have been required to sit for an English language arts assessment. Between 1999, the first year, and 2003, East Ramapo recorded an increase from 30% to 57% in the two highest performance categories, the highest increase in the Hudson Valley region. Increases have also been recorded on the 4th grade math assessment, from 50% to 67%. Rockland After-School Programs serve East Ramapo youngsters from kindergarten through 6th grade in five quality enrichment child care settings. Transportation to these school-based centers, where needed, is also provided. The district has also developed an after-school enrichment program that’s open to all for a modest fee. The accomplishments of our students are to a large degree a reflection of the district’s outstanding programs and professional staff. East Ramapo is widely known for its gifted and talented education program and for the infusion of instructional technology and critical thinking skills into all content areas and at each grade level. The breadth of courses offered by East Ramapo is simply breathtaking. This year, more than three dozen courses are offered in English language arts, nearly three dozen each in math, science, and the social studies; two dozen each in business education and technology, and a score of courses in the fields of art, music, and physical education. East Ramapo graduates are sought after and attend the finest universities in the country. Among them: Alfred, Amherst, Brown, Case Western, Clarkson, Columbia, Cornell, Dartmouth, Duke, Georgetown, Harvard, Johns Hopkins, M.I.T., Notre Dame, Penn, Princeton, Michigan, Northwestern, Rennselaer, Skidmore, Stevens, Vassar, Virginia, and Yale–to name just a few! Most Meritorious. Fifty-five students at Ramapo and Spring Valley have been recognized by The College Board for exceptional achievement on the latest college-level Advanced Placement exams. One, Hilary Glazer of Ramapo, scored a perfect “five” on all nine exams for which she sat (and 15 perfect 5s over two years) to earn National Scholar honors, the highest granted to any student in the U.S. Tejus Bale, Justin Hartmann, and Yelena Tsitkin from Spring Valley also earned National Scholar honors. Ramapo, with a larger student population than Spring Valley, had 38 honored scholars, up from 21 in 1998. Spring Valley had 17 honored scholars, up from 13, despite declining enrollment. Also increasing were the overall grades of honored students at both schools: from 3.53 to 3.64 at Spring Valley and from 3.38 to 3.45 at Ramapo. Thirteen students districtwide qualified for the AP Scholar with Distinction Award, eight earned the AP Scholar with Honor Award and 30 qualified for the AP Scholar Award. Three Fall 2002 sports teams have earned high honors from the New York State Public High Schools Athletic Association for achieving composite grade point averages of 90% or better. They are: • East Ramapo girls swimming, • Ramapo girls tennis, and • Spring Valley girls tennis. Several district-wide teams have been composed of students from both Ramapo and Spring Valley High Schools when there haven’t been sufficient numbers in just one of the schools to form a varsity team. This brings to 69 the number of high-excelling teams since the inception of the scholar-athlete program by the NYSPHSAA 10 years ago. Six of these teams have had the highest cumulative grade point average in their sport in the state, while two have had the highest average from among all teams in all sports across the state. The swim team compiled a combined GPA of 95.1%. The Ramapo girls tennis team compiled a combined GPA of 92.1%. The Spring Valley girls tennis team also compiled a cumulative GPA of 92.1%. Two musically gifted seniors from Spring Valley, Anthony Caputo and Kelsey Hennings, have been named to All-State music groups by the New York State School Music Association. Both made All-State in voice by achieving perfect scores on their auditions. An additional nine East Ramapo students have been selected to Area All-State groups. They are: • Alex Duncan, voice; • Tina Mathew, voice; • Sonali Palchaudhuri, timpani; • Russell Calka, percussion; • Rachel Goldstein, flute; • Amanda Hutt, clarinet; • Jeannine Jilleba, trombone; and • Richard Goldman, violin, from Ramapo; and • Nausheen Rokerya, clarinet, from Spring Valley. Seven academically talented students from Ramapo have earned commended status in the 2003 National Merit Scholarship Program based on their scores on the Preliminary Scholastic Aptitude Test. They are James Chambers, Ronald Cheng, Katrina DelFierro, Zeeshan Faruque, Elaine Lin, Sonali Palchaudhuri, and Christopher Shepard. James Chambers also achieved semi-finalist status in the National Achievement Scholarship Program competition for African-Americans. Promethean Promise, the literary magazine of Ramapo, has earned a Gold Medal for all-around excellence with a near-perfect 989 in a national contest sponsored by Columbia Scholastic Press Association. This marks the magazine’s sixth consecutive Gold Medal in a competition that is generally considered the most prestigious in the country. Editor-in-chief was Marvin Salvatore. Senior editors were Hilary Glazer, Rachel Katz, and Keren Kroll. Editors were Bryan Bing and Christina Medford. Phyllis Maloy, English teacher at Ramapo, is magazine adviser. Full Circle, Spring Valley’s literary magazine, has earned a Gold Rating with three marks of distinction in the National Scholastic Press Association contest, Gold Medal in the Columbia Scholastic Press Association contest, and a gold medal for Best Use of Photography in the Empire State School Scholastic Press Association contest. Three student staff members earned individual honors: Owen David, Gold, for best photograph; Andrew Ramdat, silver, for artwork; and Yelena Tsitkin, bronze, for non-fiction. Co-editors were Tejus Bale and Yelena Tsitkin. Andrew Ramdat was art editor. Wendy Dembeck, English teacher at Spring Valley, is magazine adviser. Over the years, Full Circle and its student staff members, collectively and individually, have earned numerous top honors in both state and national contests. For more information about this outstanding school district, please call the Public Information Office at (914) 577-6035or write to 105 S. Madison Ave., Spring Valley, NY 10977. “There’s no place like home, Auntie Em,” said Dorothy in the immortal Wizard of Oz. And for more the 100 staff members, East Ramapo is home – home where they grew up, went to school, and came back to. For those who are currently employed here, as well as for the scores of staff members whose roots were planted here and who have since retired, East Ramapo is one of those rare places, like a pair of comfortable shoes, a favorite pillow, a child’s room filled with wonderful memories. Many are the staff members today who could spend long evenings reminiscing by the fireside, telling tales out of school, so to speak, about colleagues with whom they grew up: humorous tales and poignant ones, ones of bonding and bravado, puppy love and of course secrets never to be shared with parents! While much has changed, the roots that were set down have run deep for these special individuals. As salmon feel an urge to return to the place of their birth to spawn, so too have many instinctively returned to the warmth of East Ramapo. For them, having had wonderful growing experiences in East Ramapo, with an education second to none, and having learned that the grass is not necessarily greener on the other side of the fence, there truly is no place like home! Few things in life are more pleasurable than fond memories. Of those, we often seem to hold most dear those that are most distant. Educational memories, too, seem to bring warm and fuzzy feelings for many, especially in regards to friendships developed, teachers who really made a difference, and school spirit. A common thread among those who were schooled and now work in East Ramapo and who offered comments relates to the excellence of education in East Ramapo – the education they received as students, and the education that exists today. If you really want to know about East Ramapo, find out from those who really know! Here is a sampling of other recollections: “Best decision I ever made.”- Mary Ann Osborne; “Only fond memories.”– Joy Levy; “It always had a top-notch reputation.”- Sherri Nahum; “My fond memories have always kept East Ramapo close to my heart. When I decided to teach, it seemed only natural to return to my roots.”- Andrea LaMantia; “So many memories of the wonderful, influential teachers.”- Wendy Rosen; “Because it is an innovative district committed to educational excellence.”- Marlene Slackman; “I wanted my children to have the same excellent education.”- Rhoda Schaefer; “Came back to be part of such a warm, caring staff.”- Cynthia Boylan; “So many fond childhood memories of East Ramapo. What better place to come home to?”- Stephanie Blackoff; “East Ramapo schools are the BEST!”- Anna Goldfien; “There’s no place like home!”- Melissa Shoerr. Members of Peter Talman’s family have been educated in East Ramapo for 109 consecutive years! Mr. Talman’s grandfather, Elbert, served on the local Board of Trustees for 49 years, setting a record for longevity in New York State. Art’s grandfather owned the land on which the administration building is now located. His son, the 4th generation of Gunthers to graduate from East Ramapo, is now an elementary school teacher in the district.